It’s great to see that the refurbishment of the library is nearing completion. But two doors down at the swimming pools, things aren’t looking so good. The Pools were closed in March 2006 when the roof was deemed unsafe. 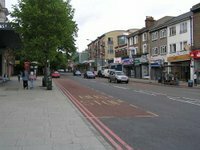 The Mayor of Lewisham, Steve Bullock, took the decision to refurbish rather than rebuild. According to the Council’s timetable, work should be starting in February next year with the pools reopening twelve months later. Louise House is the building sandwiched between the library and the pools. It used to be a Girl's Industrial Home which provided accommodation and basic education to destitute girls. More recently, it became a social services office but it closed in 2005 and remains unused. 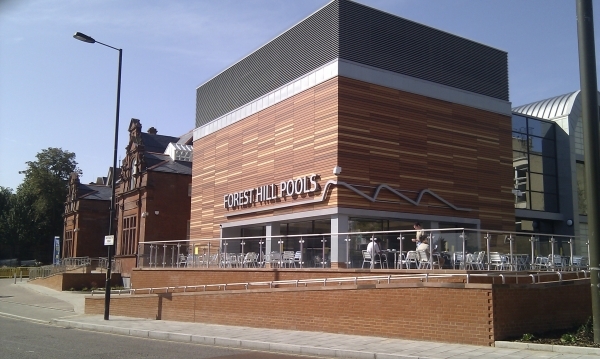 The Forest Hill Society has suggested in the past that Louise House be incorporated into plans to create a much more comprehensive swimming/sport and community facility on that site. Perhaps the Council is now coming round to this idea.